Legend dates back to Treta Yuga, It is said that Sita Devi stayed on this hill at Valmiki Ashram after her exile from the Kingdom. Sita Devi gave birth to the twin children, Lava and Kusha on top of this hill. Blood stains and footprints of Goddess Sita is still visible. The room where Sita Devi gave birth is still available. Temple is 14 km from Mulbagal. Jambavantha Temple is also seen here. Legend dates back to Dwapara Yuga when Lord Krishan fought with Jambavantha to procure Samanthaka mani. It is said that the war happened here in this village. Jambavantha, who lost the battle, offered the diamond and requested Lord Krishna to marry Jambavathi, Daughter of Jambavantha. Rama, Bharatha, Lakshmana and Shatrugna installed Siva Lingas to get rid of their sin in raging a war on children (Lava and Kusha). Goddess Parvathi appeared in the dreams of Adi Sankaracharya and ordered Sankarcharaya to install Sita Devi statue next to her. Adi Sankaracharya completed the ordered as instructed. Hence the shrine popular by the name Sita Parvati Temple. Temples for Rama Lingeswara, Bharatha, Lakshman and Shatrugna were built during the reign of Nolamba dynasty of 10th Century AD. 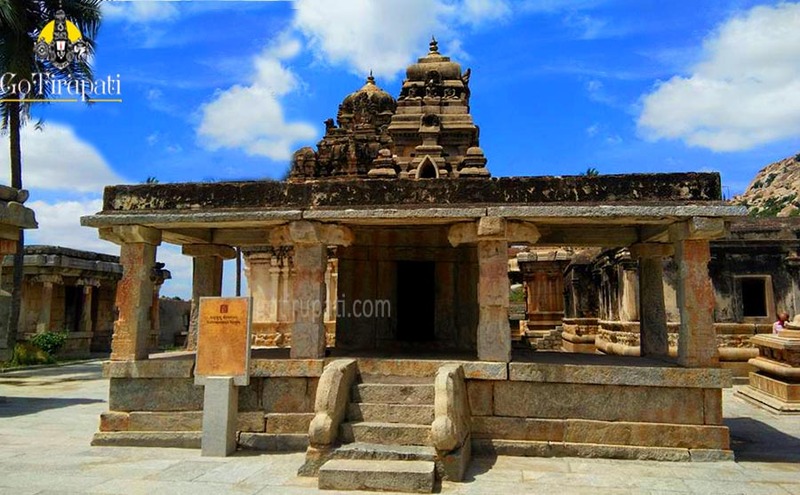 Later this temple was renovated during the reign of Vijayanagara dynasty.